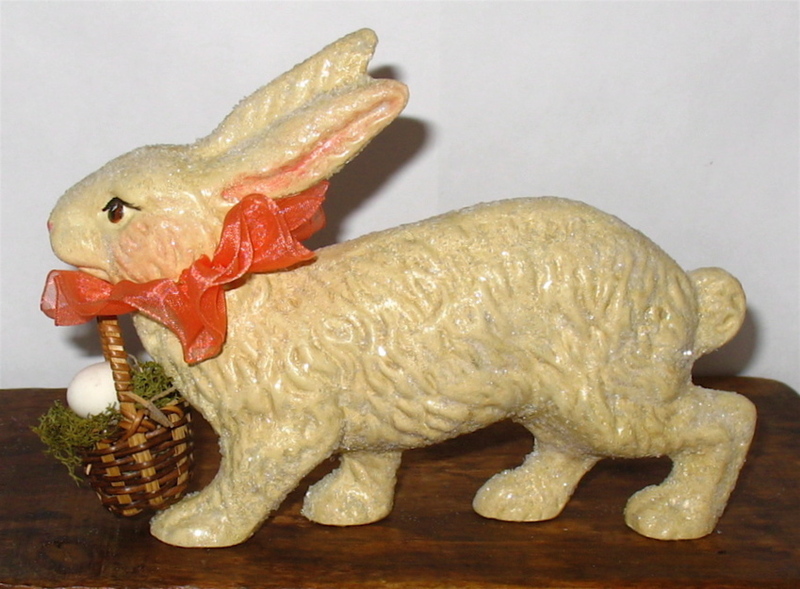 Of note: Cast in chalkware using an antique chocolate mold. 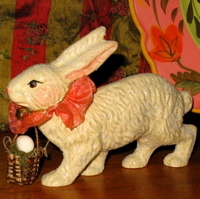 The adorable little bunny has a hand ruffled collar and carries a basket filled with a paper mache egg. 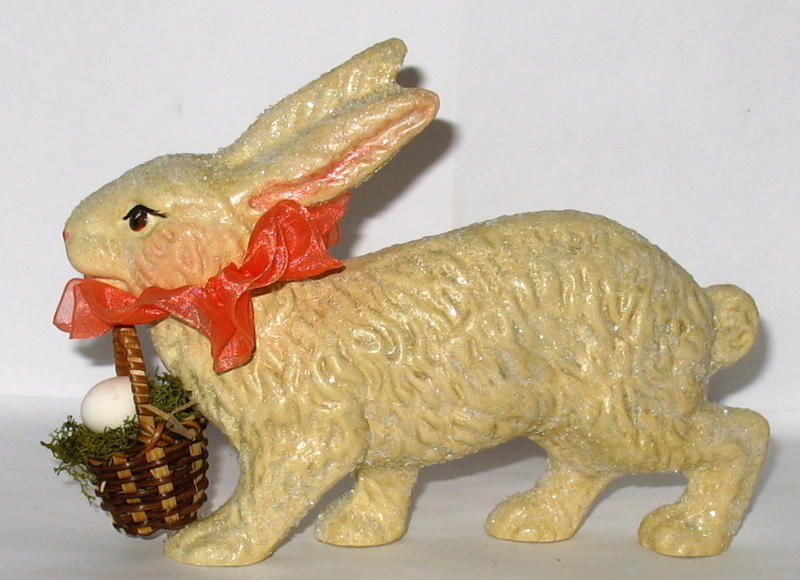 The figure measures approx 6 inches wide and will be signed and dated "Bittersweet House Folk Art, K. Campbell, Sherborn, MA".